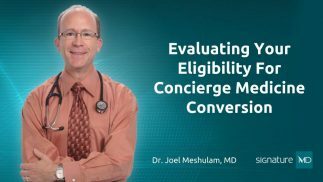 As a physician looking for an alternative to the traditional medical practice model, you may be wondering whether you are eligible for a concierge medicine conversion – would you be a good fit? And, just as importantly, who shouldn’t be considering concierge medicine? It’s easy for me to delineate the kind of doctor that would be great for this kind of care, i.e. opening a concierge practice. It’s a little more difficult for me to tell you who shouldn’t be doing this. I have a couple of thoughts about that. I know in my hospital here in Baltimore, if you’re an employed doctor by the hospital, you can’t be a concierge doctor. They won’t allow you to do it. I don’t know if that’s a national phenomenon or not, but it makes a little bit of sense because the hospitals just want as many patients feeding them as possible, and their employed doctors need to have an aligned approach to what the hospital’s needs are. If you’re a hospital-employed physician you may not be a candidate for this. There are probably contracts between the hospital and the physician, so if the physician wants to leave that affiliation, they may have a restrictive covenant that prevents them from taking their devoted patients with them. That might be a problem. More free time, more revenue, more vacation time, more time with your family. That’s what this model of care is supposed to deliver and does deliver. Then again, if you’re very happy, and not suffering from stress, and you don’t have any problems with practice as you have it now, then you’re probably not watching this video anyway. Do you feel like concierge medicine may be right for you? 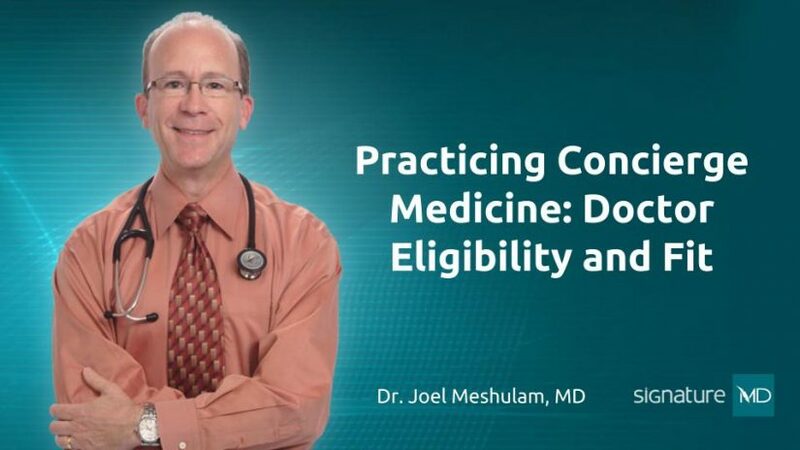 If so, you should hear what Joel had to say about evaluating your eligibility for concierge medicine, where he goes into further detail about ensuring a good fit.